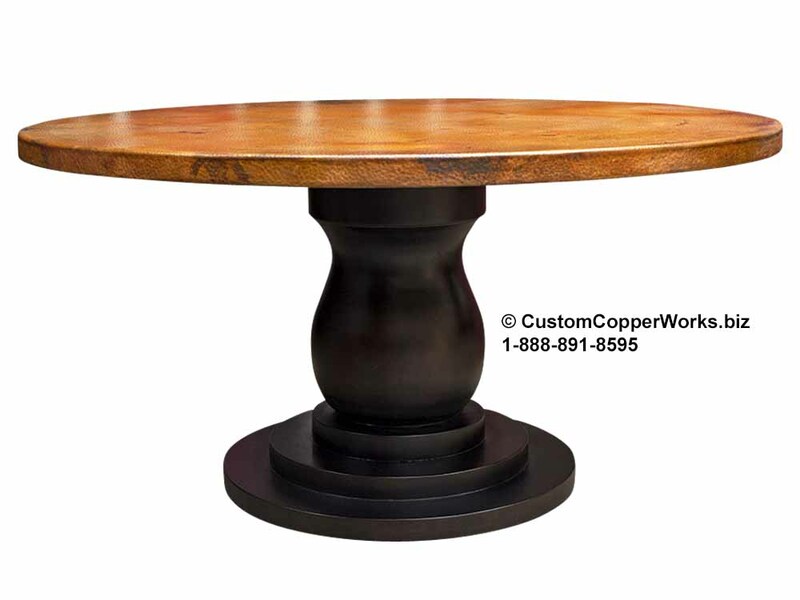 Hammered Copper Top Dining Table - 60″ round -- Anna Wood Single Pedestal Table Base. Wood finish: Dark chocolate #1W wood stain with polyurethane protective finish. Below are photo approval photos for Raven's copper table top and base. Click on image to view larger image.